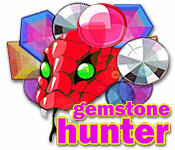 Collect floating gems and help Gemstone Hunter grow his tail. Eat streams of the same color and try to create a chain reaction!Eat gemstones to form a chain reaction.Collect floating gems and help Gemstone Hunter grow his tail in this peaceful arcade game. Enjoy the relaxing sounds as you pick up each brightly colored gem. 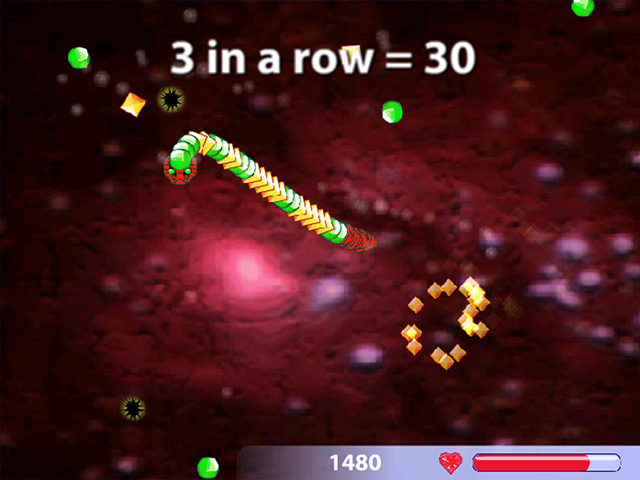 Collect streams of the same color and then hit the glowing energy ball with your tail. 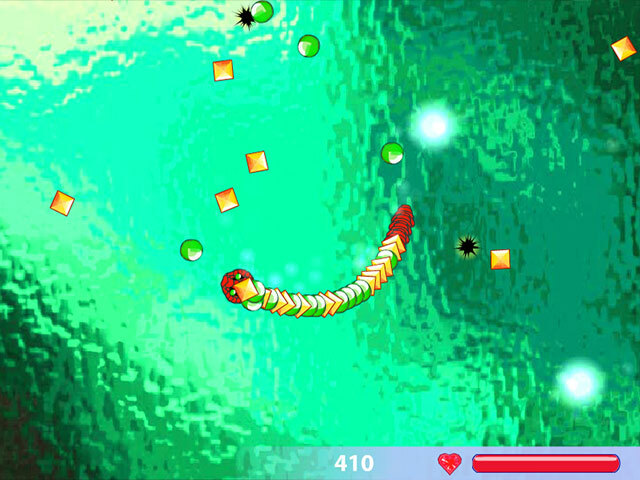 Like-colored gems will explode and create a chain reaction. Avoid the spiny urchins. They will sap your strength. With its gentle feel and easy-to-learn game play, Gemstone Hunter will keep you on the hunt for days.